Elof, our own Mark Justice, shows off his Sharks. Elof has won the last two Shark tournaments (! ), and come looking to do a hat trick. Arvid Grahn, one of the pioneers in the format from back in 2007, returns to the stage. Arvid won the first ever 93/94 tournament, held at Gothcon in 2008. Sveby, another of the formats first players from 2007 comes to show off his awesome creations. Stalin, aka Cjva, aka this blog's founder, was our reliable judge and competent tournament organizer. This may be one of the sweetest boardstate I've ever had in over 18 years of Magic ;) Chaos Orb and Guardian Beasts are clearly the nuts. Double Colossus facing double Relic Barrier. Fat Mothi and the Pit Lord are still looking good. Turn one A/B lotus, double A/B Mox, A/B Tundra, A/B Sol Ring and A/B Ancestral into Mind Twist for five. "Why the hell would you play an unlimited Mind Twist? That's unfair!" Viktor "Oldschool" has a new crazy combo deck for this tournament as well. This time he breaks backs with the combination of Living Plane and Drop of Honey. Glennish made the play "Giant Growth, Berserk, Berserk" a source of multiple turn three and four kills. Triple Howling Mine, Ivory Tower, and Black Vise. Surprisingly unbeatable. A small portion of the tournament's Juzams vs the Orb. Two winners teching away and drinking beer. Viktor, Gaea's Liege and three Boosters. Something's brewing. The glorious trophy and shark. 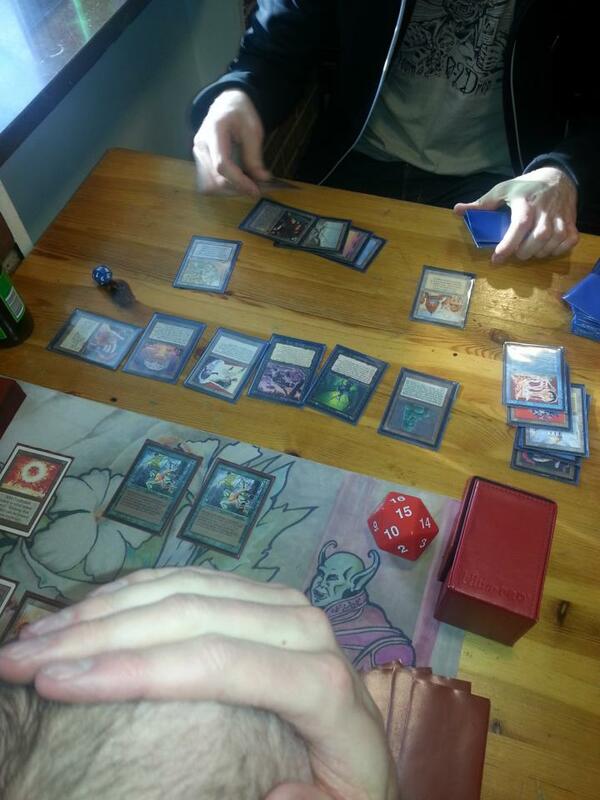 Final's between top 8 mainstay Jocke Almelund and the juggernaut Elof. Schram won the side event, and took home a signed booster and a Headless Horseman. The heroic top8 for n00bcon 2013; Elof, Fork, Jocke, Åland, Robin, Mg, Icelander and Pefken. 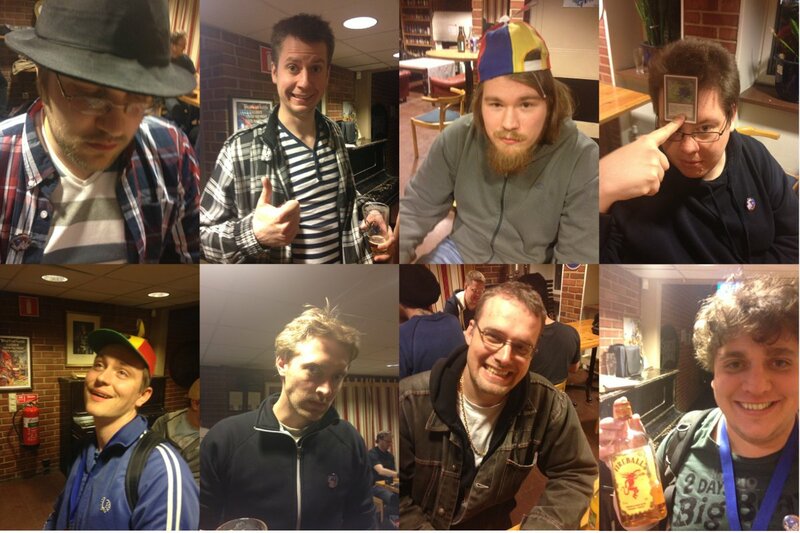 Thanks again to everyone who participated, and showed why Magic is a great game and beer is a great drink! I'll be posting pwp updates and some sweet decklists during the coming week.